The Larges Single-Celled Organism: Valonia Ventricosa « Adafruit Industries – Makers, hackers, artists, designers and engineers! 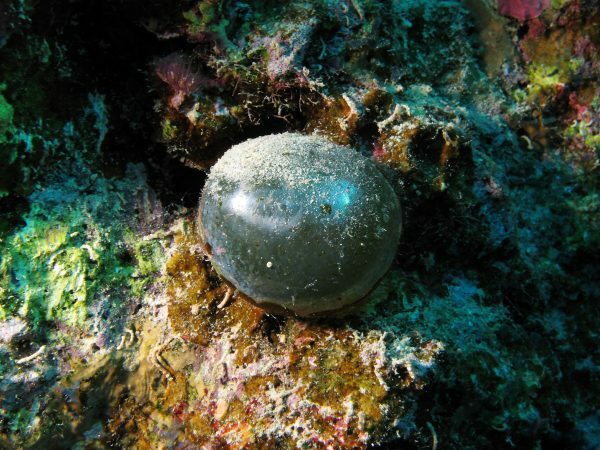 According to Wikipedia, Valonia ventricosa, also known as “bubble algae” and “sailor’s eyeballs,” is a species of algae found in oceans throughout the world in tropical and subtropical regions. It is also one of the largest single-celled organisms in the world. They often living in coral rubble and have been observed living as deep as 80 metres (260 ft) below the surface. Their color varies from grass green to dark green and can ever appear silver, teal or blackish in water. Its color is determined by the quantity of chloroplasts of the specimen. Reproduction occurs by segregative cell division, where the multinucleate mother cell makes daughter cells, and individual rhizoids form new bubbles, which become separate from the mother cell. According to TED, large specimens can rage between 4-9 cm in diameter! You can read more about them here. We’ve also embedded an interesting video by TED on large single-cell organisms below.